Fitness is something crazy which can change your life, a common problem is that we don’t have enough time to do exercise, to join Gem and hire some trainer. Thanks to Apple and Fitbit, for giving us a reason to believe and expect what we imagine. I purchased Fitbit charge 2 and said goodbye to Apple when I went through the associated features, that’s awesome. I lost my 20 pounds within a month with only one trick “Lite exercise with lite food”. However, I am here to share why you must choose Fitbit Charge 2 instead of Apple Smartwatch series 4, even though it is amazing and has new advanced features. Here are some reasons why you must choose Fitbit Charge 2 instead of, Apple smartwatch 4 which is too expensive whereas, Fitbit charge 2 only cost you round about $150 and Apple smartwatch new series 4 starts from $200 up to $1000+. The simple question is why anyone would love to spend more money on a brand name when features are almost the same. How does it feel like when you gave basic common features at an affordable price. Read about: Fitbit Versa Swimming Manual: Is Fitbit Versa Waterproof? At first glance, it’s design which attracts others so both Apple smartwatch and Fitbit charge 2 come up with an attractive, awesome and fabulous design. There is nothing I can say about the design as both are attractive and elegant. Fitbit Charge 2 is slim as compared to Apple smartwatch 4 and contains more Fitness Tracking features. The major difference due to which Apple has an upper edge is it’s small due which doesn’t drain too much battery and you don’t have to charge it on a daily bases. 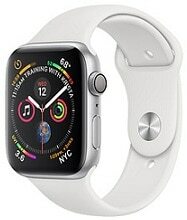 When it comes to some serious processing issues, Apple smartwatch 4 includes swipe gestures and taps and also have S3 processor and Watch OS4, a serious difference no one is now trying to share about, all in all, you have a handsome but expensive package, if you are all about hassle-free quality, Apple is for you. Its display is instant and response on swap is awesome. The user interface never lags or shutters, well the animation also respond you nice. The heart-rate display will drop your jaws on to the floor. On the other hand, Charge 2 is a little bit difficult to operate and control, the major difference is it’s an interface which is not real and touch-screen sometimes create problems, it’s response is very slow as compared to Apple Smartwatch 4. It’s slim but rectangular shape will fall you in love with it, eventually, the look is nice but digits are unpleasant like you are watching an early 90’s digital screen of the smartwatch. The best thing is that you can use Charge 2 more than 5 Days with heavy use however Apple Watch 4 can only last for a maximum 3 days if you are not using LTE too much. Fitbit Charge 2 comes along with numerous features, it is basically designed for Fitness tracking that’s why Fitbit is famous for and mostly used. Other smartwatches are providing few features mostly copied from Fitbit, you can say they were the first to provide Fitness Tracking in digital format. Today, features are almost similar as Apple smartwatch 4 and Fitbit Charge 2 are providing the same Fitness Tracking features almost, you have GPS and LTE in Apple but you have to pay more for it. The best advantage that you have now is, you don’t need your smartphone while doing exercise or running, it can help you to track your progress without any constraint or limitation. When we talk about The Charge 2, well, it is dependent upon the smartphone which helps you to keep your record and fitness tracking feature, any kind of activity performed can easily be monitored with the Charge 2. The biggest disadvantage of Charge 2 is that it is not waterproof which is the basic requirement because people don’t want to waste their time to take care of their watches while taking bath and swimming. Apple smartwatch is waterproof, you can use it for shadow-water activities like swimming in a pool or ocean. Both provide almost the same health features, you can check how much calories you have taken and how much you used, this is the best feature in both Apple smartwatch and The Charge 2. You can do a lot more by using this awesome feature, this allows you to make a proper schedule to control your diet, today every expert believe that your diet plays a key role here to maintain your body, you gain weight because you are fast-food addictive and this is the reality we have today. The smart system will allow you to control your diet, after all, your diet is everything today. Experts say if you want to control your weight, first, control your diet and use vegetables more. After comparing both we can say that Apple smartwatch is much better than Fitbit charge 2 as it comes along with outstanding features but it’s also considerably more expensive. 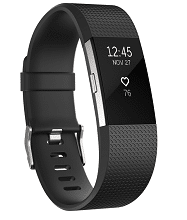 Provided if you are not a swimmer and only concerned with your fitness tracking, here you can select Fitbit charge 2 which is cheap and will allow you to monitor your fitness hence to achieve your goals, well, it’s more than enough for you. But if you are concerned about quality that doesn’t fail to surprise with its smart features, Apple’s ecosystem with countless features must be your first choice.